The genesis of this site may be in 1928, when H.G. 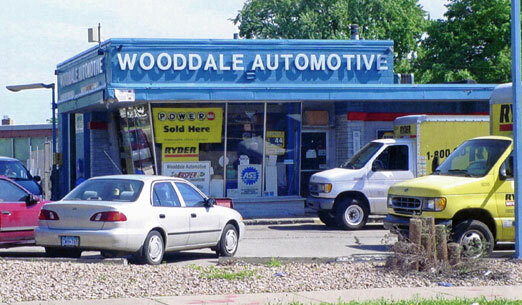 Worel sold Benzo gas, Mobil Oil, tubes, tires, and accessories at Lake and Pleasant (Wooddale). There are, of course, four corners at that intersection. 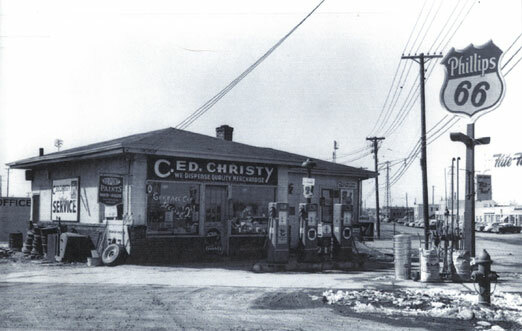 The first city records available show a building built at this corner in 1926. 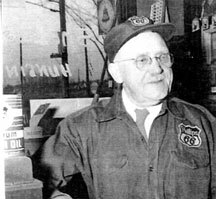 We do know that Carl Edward “Ed” Christy (pictured right) bought the old station in 1930 and ran his Phillips “66” gas station and sporting goods store here it until he died in 1954. 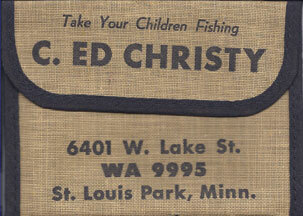 The Christys came to the Park in 1922. In 1937 they built their house across the intersection where the dental offices are now. The house was moved when Ed’s wife moved to Dallas in 1975. 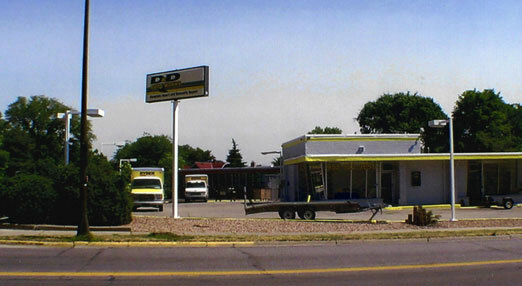 The family had also owned the property where McDonald’s was built in 1958. At that time it was taken over by his son Allan and the original building was moved away. 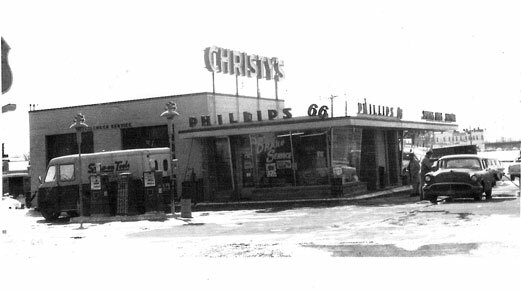 In December 1955 and replaced with the present building. 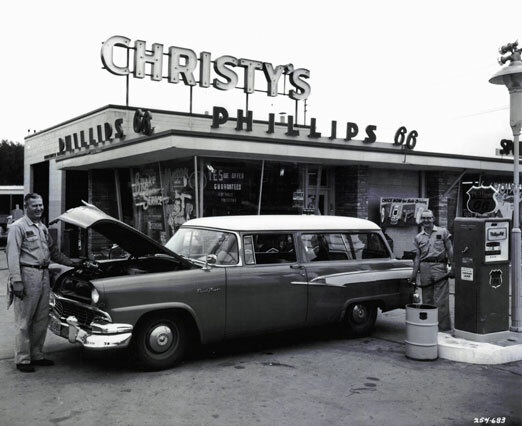 Christy’s was rebuilt and had a grand opening December 16 and 17. 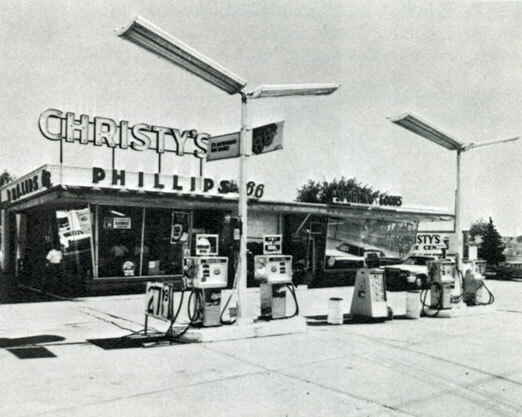 It was advertised as “The Northwest’s Most Modern – best Equipped — Service Station. Phillips and Allen Christy have spared no effort to give you – the residents of St. Louis Park – the very finest. 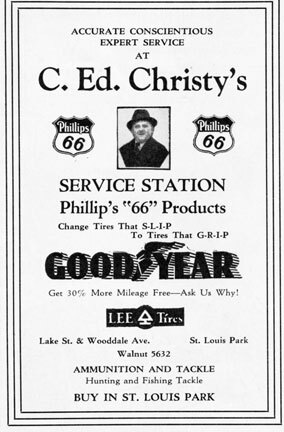 1979: Allen Christy sold the station early in the year. 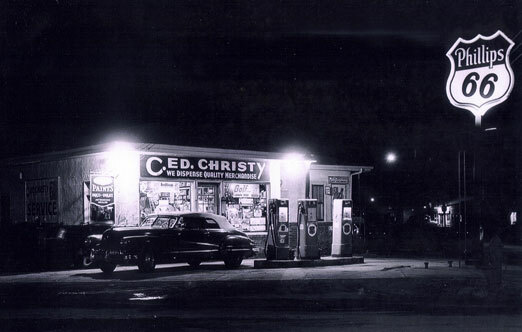 Read more about the Christy corner and family in Something in the Water.